Jackson, WY (August 25th, 2016) – NOSO is proud to announce that their website is going live, enabling consumer interaction, feedback and sales. Having reached 100% funding on their Indiegogo campaign for the all-new Puffy Patch, NoSo is ready to directly engage with their customers, offering new shapes and colors not previously available. 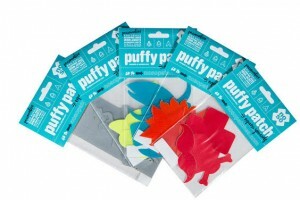 NoSo Puffy Patches are designed to extend the life of your gear or express your individuality. Perfect for everything from jackets to tents, sleeping bags and even backpacks. NoSo patches are available in six different colors, thirteen shapes, and five variety packages of three. The website officially launches this week.